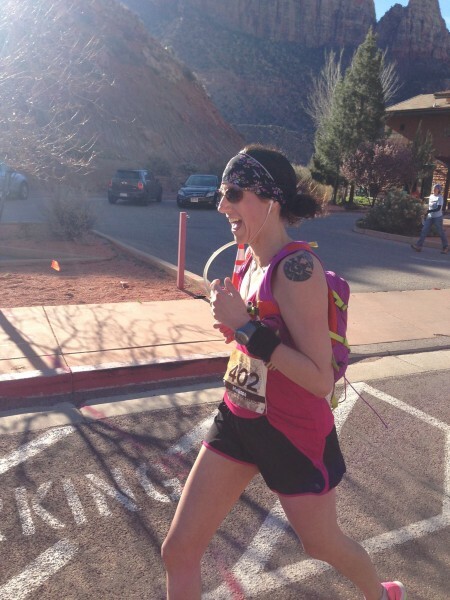 Can you share a brief running history up to the present day? I think I started running as soon as I could walk. I was an active child and took to sports and physical movement very easily. 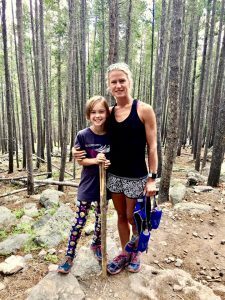 Throughout my younger years, other than a brief bit of track and field in middle school, I played soccer, lacrosse and downhill ski raced. In the field sports, I was often playing midfield positions where I had the opportunity to run quite a bit and with bursts of speed. It wasn’t really until after college that I started to dabble in road races. 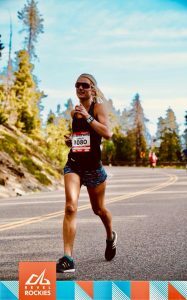 I raced sporadically at best while in medical school and residency—running the Chicago marathon during my internship year proved an interesting challenge. 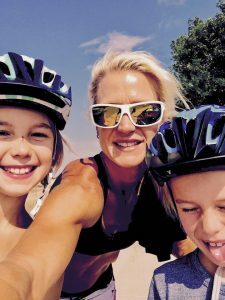 My thirties were consumed with medical practice and growing a family. It wasn’t really until about age 40/41 that I started to run with more focus and reentered the world of recreational racing. Since that time, I’ve covered distances from the 5K to the marathon. I’ve toggled back and forth between road and trail running and find I enjoy both for different reasons. What are the top three things you like most about running, and why? 1) Running literally makes every cell in my body joyful. It is a chance to reboot, recharge, refocus, feel grateful and experience strength and a feeling of capability. 2) Running has a sweet simplicity about it. It doesn’t require complicated equipment and it can be done anywhere; “anywhere” can take me on some pretty fantastic adventures, that’s for sure. This unfettered feeling amidst a busy life with many responsibilities is so freeing. 3). 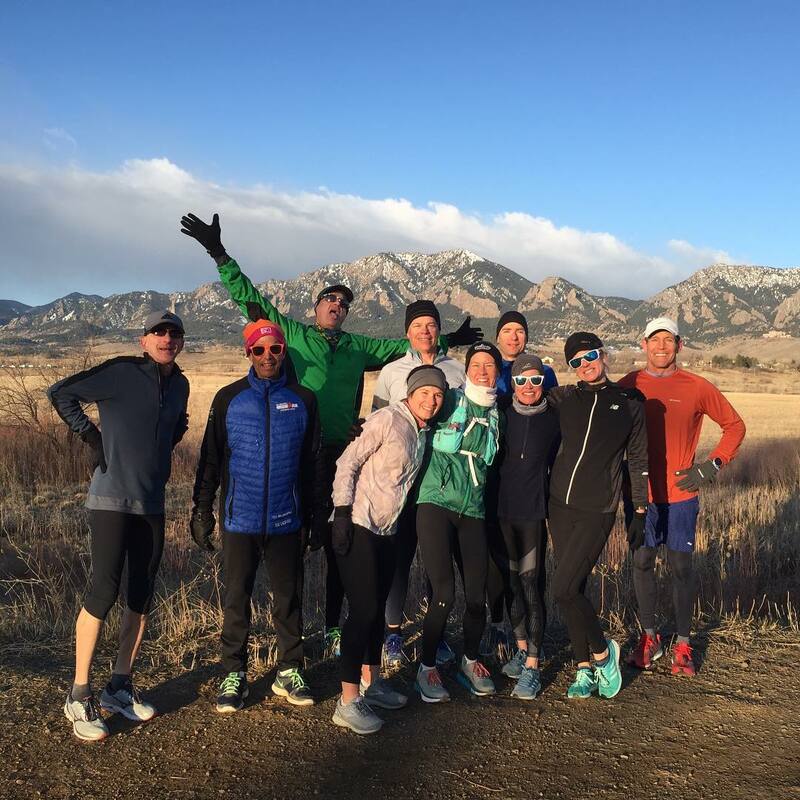 Last, but certainly not least, the running community is a vibrant and steadfast group of amazing people. It’s really an honor to connect and share in the camaraderie and support that weaves us all together. You recently posted on Facebook about the importance of filling his confidence cup for your son. 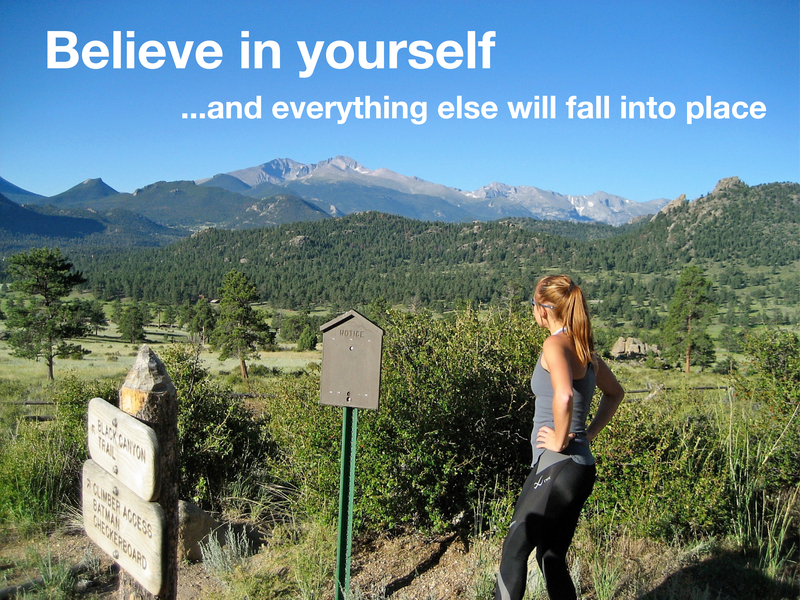 Have you always been a confident person, and what do you do to fill your confidence cup? As a younger person, confidence was not necessarily overflowing from my cup. I had to cultivate it by choosing purposely challenging goals to overcome. For me, the confidence usually came after I achieved the stated goal. However, as I’ve gotten older, I’ve been able to draw from prior experiences to feel more confident in new and novel challenges; re-framing thoughts and perspectives around situations has been key. Developing resilience has been a huge boost for my confidence; resilience enables me to feel confident in my effort even if I’m uncertain of the outcome. 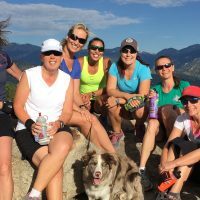 You are a member of Revolution Running, one of the top training groups in the Front Range. What difference has being a part of this group made to your running, and what are your top three reasons to be working with a coach as a member of the club? Running is an activity that can be done alone or with others and each has its benefits. The group dynamic is so helpful in pushing through hard efforts. The encouragement and support of a group is such a gift both directly related to run training and in life in general. We are social beings and feeling connected is super important. You recently said that running is like a stew. You need to have all the ingredients in there, in the right amounts! How do you get tempted to leave out some ingredients or adapt quantities so it messes up your stew, and how have you learned to get yourself back on track? Can you share one thing that is uniquely Kirsten that no one would know by looking at you? Ok serious-I think many people see me as intense and tough. While those may be accurate descriptions, I also am a tender hearted “softie”. It’s kind of a unique combination of traits🤷‍♀️. 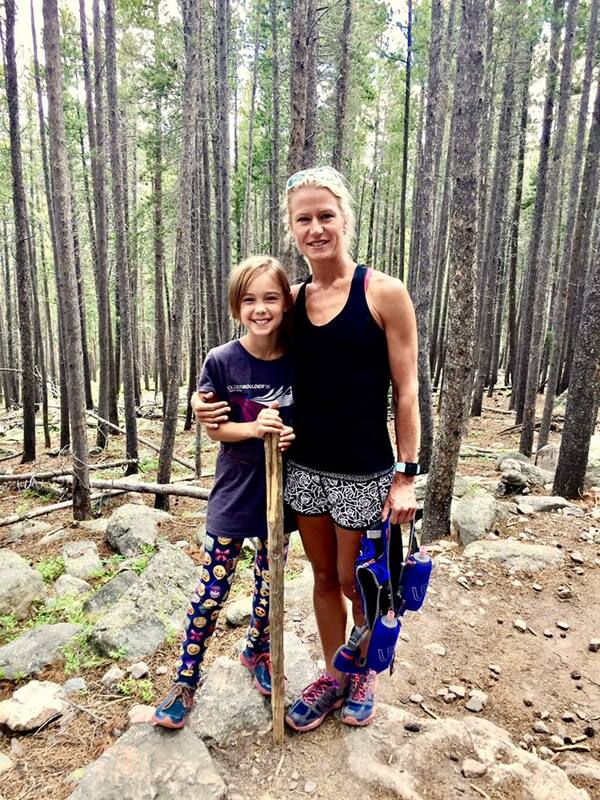 Last Spring, you were finding yourself questioning your training, yourself, your abilities, and more….you also got sick, something you said at the time that hardly ever happens. How did you get yourself out of that funky place, and did any lessons come from this that you still use today? If we could share one key message on your behalf to the World, what would it say? Oh wow. There is a lot riding on this one!! Love should be at the center of every action and choice that we make in life—both in how we interact with others and ourselves. Our passions and aspirations (be they running or something else) should be fueled by devotion rather than discipline. What are you running and life goals for 2019, and beyond? In 2019, I’m running my first Boston Marathon! I’m excited for this opportunity and will give it my all. After three sequential road marathon builds, I’ll be reconnecting with the trails a bit more this summer in preparation for the Grand Traverse. This will be my first attempt at an ultra. There will be lots of running at high altitude and I’m hopeful there will be some epic adventures in there. If I am successful in GT, I would love to plan to do the R2R2R in the fall. The theme here is taking a small break from the road marathon to let the body re-balance and the mind rest and recharge. 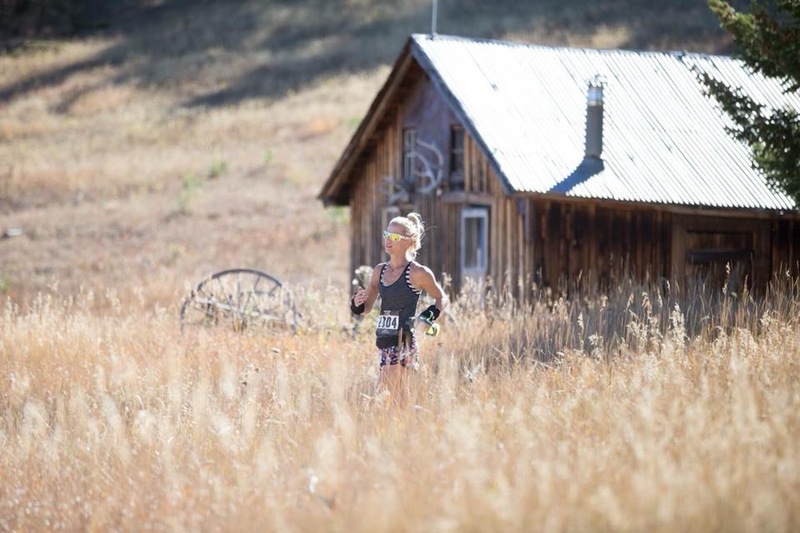 We wish Kirsten every success with her running and life goals for the year ahead, especially with your creative reinvention on your vocation!